A criminal charge is scary business. You can face jail, fines, and more. If you’ve been charged with a crime, only a criminal defense attorney can help. In Vancouver WA, you have a lot of choices for your attorney. But few have the experience, trial skills, negotiation skills and communication styles necessary to best defend you against the government. Attorney Roger Priest is a highly experienced trial attorney who has tried nearly a hundred trials and spent years in the courtroom. He has prosecuted, worked as a public defender, and been in private practice. Having worked as a criminal defense lawyer in every facet, Roger Priest understands all facets of a criminal charge. If you’ve been charged with a DUI, domestic violence, drug charges, a violent crime or something else, you owe it to yourself to call a criminal defense lawyer who knows the law. We offer a free consultation on every case. We also work with you on flexible payment plans if you cannot afford to pay all upfront. In Washington, the stakes are high for the criminally accused. Make the smart call to attorney Roger Priest today. We handle all types of criminal charges in Vancouver and throughout Washington. Need a DUI lawyer (driving under the influence)? Facing domestic violence charges? Assault charges? Do you have a probation violation? Juvenile law matter? Need a drug lawyer? Burglary charges? Other felony crimes? The types of criminal justice cases go on and on and we handle them all. We can even help with other types of matters related to criminal law. Need an expungement attorney so you can clean up your criminal record? We can help. Are you trying to restore your gun rights after a disqualifying conviction? We can help. No criminal case is too big or too small. Give us a call today to get the help of a criminal defense lawyer with your theft charges, arson charges, sexual assault charges or other criminal law cases. If You Have Been Arrested Or Charged With A Crime In Clark County or Vancouver WA, Time Is Of The Essence! Driving under the influence is one of the most commonly charged criminal cases. 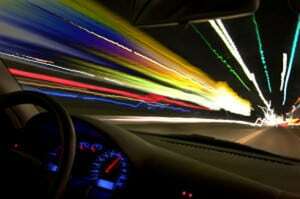 We handle a variety of different impaired driving charges. If you need a DUI lawyer, we can help whether you are facing a DUI first offense or DUI felony. While DUI misdemeanor charges are the most common, we can help no matter what level of aggravated DUI charge you face. Roger Priest is a DUI attorney with years of experience handling all aspects of DUI cases. We handle DOL license suspension hearings, suppression issues, trial, deferred prosecution cases, and DUI probation matters. Drunk driving cases can be complicated and can have long lasting effects on your life, so call us today schedule a free consultation. Don’t set yourself up for a stiff DUI punishment. DUI sentencing laws often require mandatory jail, so it pays to have a DUI defense lawyer take a look at your case. There are other drinking and driving laws besides DUI and DWI too. We handle Negligent Driving cases, Reckless Driving Cases, Driving Under 21 Years of Age After Consuming Alcohol, and Minor in Possession charges as well. We will work with you on a payment plan if you can’t pay it all upfront. It is more important to help you get started than to get paid all at once. If you’ve been charged with DUI, pick up the phone and call Roger Priest today. Follow one of the below links to read more your specific criminal law matter. 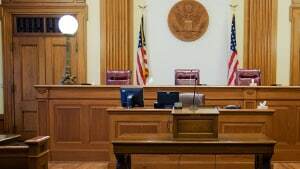 Criminal charges often have very different punishments, so read a little bit more about what to expect from your particular case. Regardless of the charge, we can help. Call today to talk directly to Roger Priest and get the answers you need to take control of your case. We are available to meet right away. We can offer flexible payment plans. The consultation is free. What do you have to lose? Get the help of a criminal defense attorney today.